The Round Kooler Bag is made using70D nylon with PEVA lining. It holds up to 14 cans. 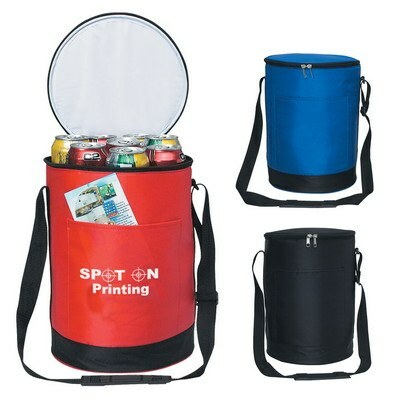 The Round Kooler Bag is made using70D nylon with PEVA lining. It holds up to 14 cans. It is available in bright colors including black, royal blue, or red. It has an adjustable shoulder strap, with a double zipper closure. It has an outside front pocket, and a side mesh pocket. 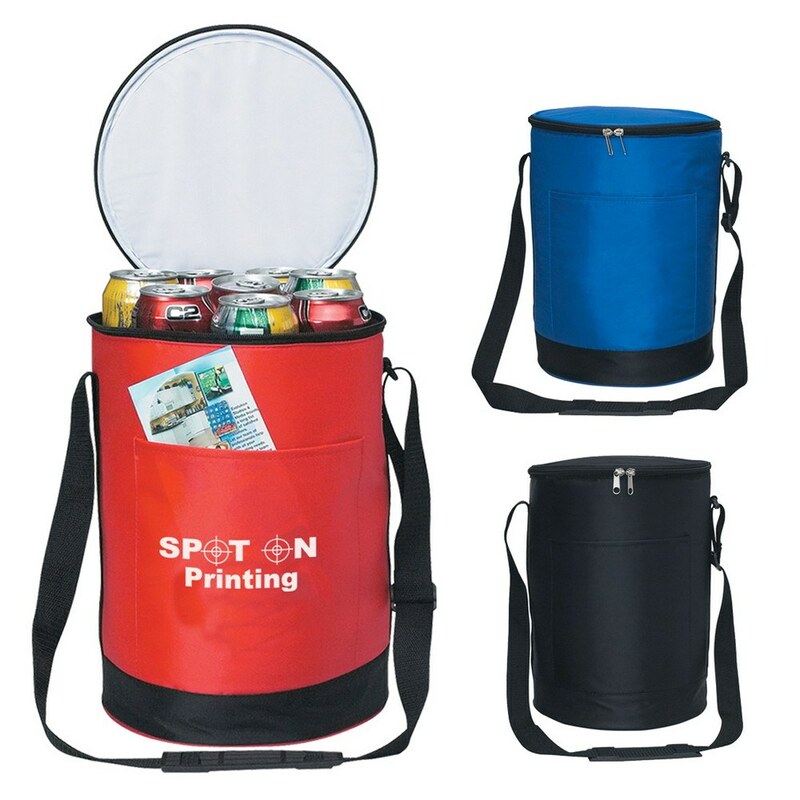 Gift it to your employees or valued customers as a promotional bag for use at outdoor conferences, picnics, barbeques, or for a day out at the beach. Screen print your brand logo and tag line to create brand awareness.